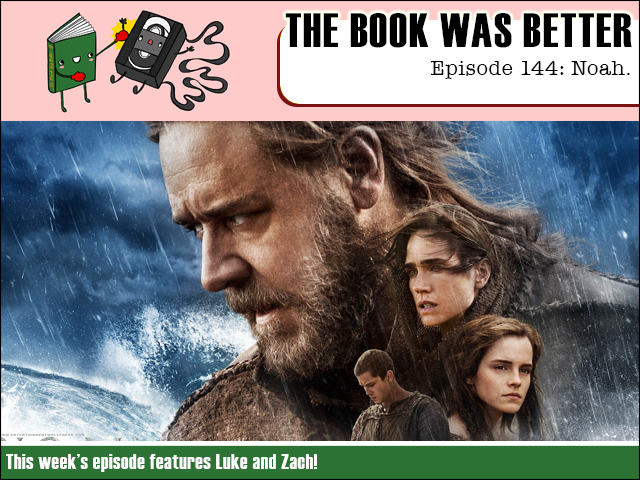 This week we get down in the biblical sense when we read the novelization of Aronofsky's Noah, based on a really old bestseller! My other half on this trip is new guest host Zach as we try our best to wrap our heads around Russ Crowe's crazy psychopathic Noah, ninja-ing doodz to death in a world gone insane! Don't risk your eternal soul - join us on the ark!